We like to eat tacos. A lot of tacos. It started as a love for the flavor profile and became one of our go-to quick dinners. All it takes is a pot of rice, some meat (thinly sliced leftover pork chops make great tacos!) or shrimp, and some sautéed veggies. Add some salsa, avocado (or if you have some time, some guacamole), and some sour cream and you’ve got a complete meal. In the past few months, I’ve sought out ways to bring new dimension to our tacos while ensuring that they remain a quick meal. My husband likes pinto beans, and I didn’t really “get it” until after I made our own beans. I even find myself actually craving these beans. Well-seasoned and cooked in Catullo Prime Meats‘ flavorful garlic bacon until creamy, these beans bring another layer of flavor to any Mexican dish. Aside from the fact that these are annoyingly delicious, I really love these beans is that they freeze very well. One batch makes about 5 or 6 cups of beans, so I always portion them (with some of the extra broth) into freezer bags and freeze them. When I plan on making tacos, I’ll throw a bag in the fridge in the morning to start defrosting and can finish thawing and heat them in the microwave later. This recipe takes a couple hours but don’t require much attention, and are definitely worth it for the flavor, yield, and convenience. Add pinto beans and stir to coat. Add water to cover by two inches and bring to a boil. Reduce to a simmer and cook, stirring occasionally, for 2-2 1/2 hours. Salt as you cook and season. 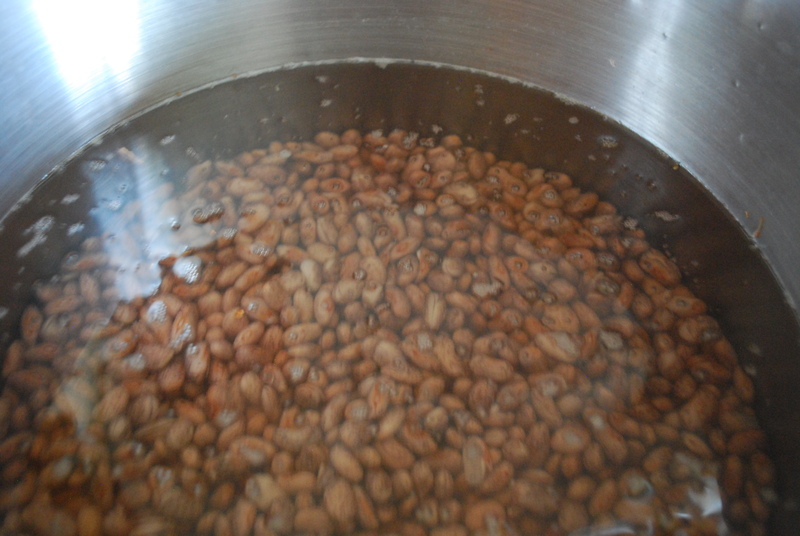 Soak pinto beans by placing in a pot or container and covering by at least two inches of water. Soak for at least 6 hours. I usually soak mine overnight or while I’m gone at work during the day, so mine usually soak 8-10 hours. 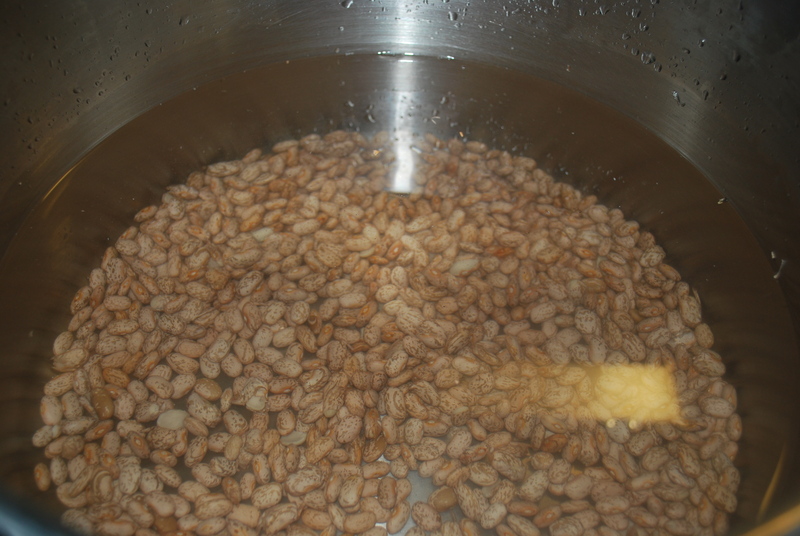 Drain pinto beans. 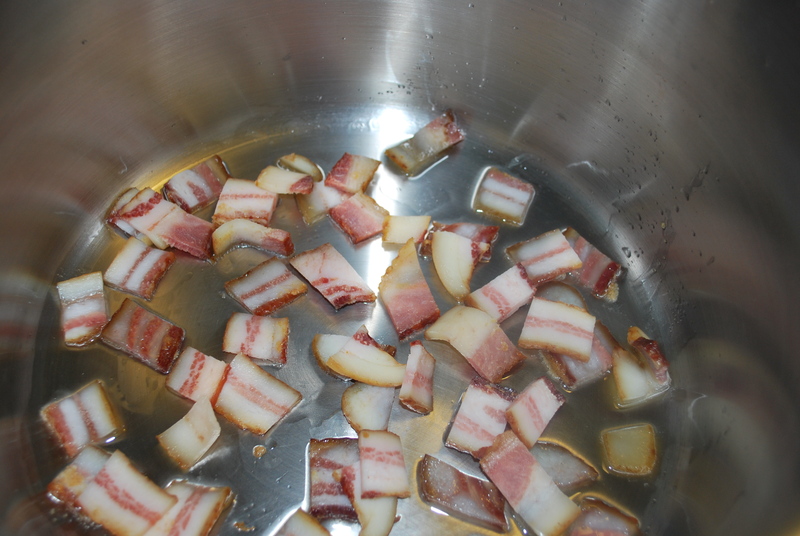 In stock pot, cook bacon over medium heat until crisp (sometimes I add a little oil to keep my bacon from burning). Once crisp, add drained pinto beans and stir to coat. I stir them for a few minutes, allowing them to soak in the flavor of the bacon, then add water, until they’re covered by two inches. Bring beans to boil. Salt generously (I figured I use about a half teaspoon each time I salt the beans). Lower to a simmer and cook for two and a half hours, stirring occasionally (if your water is soft they may cook faster, so I always start testing beans just under two hours). 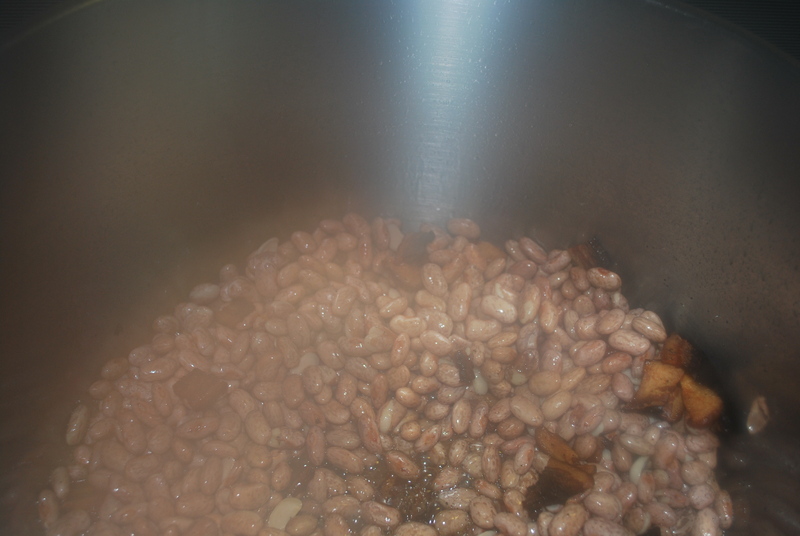 I try to stir the beans every 20-30 minutes, salting them each time. You can add the seasonings any time throughout the process. Enjoy hot or (because this makes a boat load of beans), once cooled some, portion into containers or freezer bags (adding some of the broth with it to keep them from drying out on reheating) and freeze. You can reheat them in the microwave without losing quality. Previous Previous post: Happy Birthday Luigi! Next Next post: Friday 5: Vacation Day!